Butek Landline are proud to employ some of the most experienced specialist technicians in this field, with a little over 80 years combined knowledge between them. 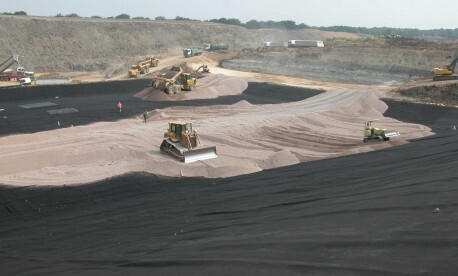 Contact one of our dedicated team members today to discuss your Landfill Lining & Cell Capping requirements. Our engineers are always available to discuss technical aspects of your project and offer detailed project recommendations and free advice should you need it. 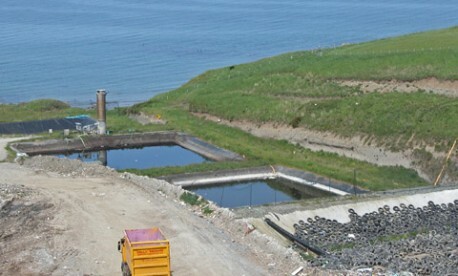 Landflex PEHD is a High Density Polyethylene (HDPE) available in both smooth and textured forms for use in landfill cell lining, capping and leachate containment works. Landflex PELL is a Linear Low Density Polyethylene (LLDPE) available in both smooth and textured forms for use in landfill capping. Pozidrain, our wide width preformed drainage and gas venting geocomposite offers a cost effective, sustainable and environmental alternative to filter stone and allows superior flow in all directions, unlike traditional pipe systems. 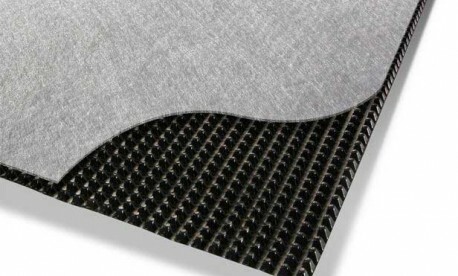 The cuspated core with non woven geotextile fabric bonded on either one or both sides provides filtering for a wide range of materials while also allowing free passage of fluids into the core to be drained to a discharge. Textured materials allow for an increased friction angle to be maintained so improving the backfill side slope stability and enabling steeper embankments to be lined. Landflex Ecobarrier is a modified LLDPE specially formulated for improved hydrocarbon resistance. It is manufactured from graded recycled material with an engineered polymer additive. This makes it an environmentally friendly option with a low carbon footprint, meaning that less waste is sent to landfill during its manufacture.. 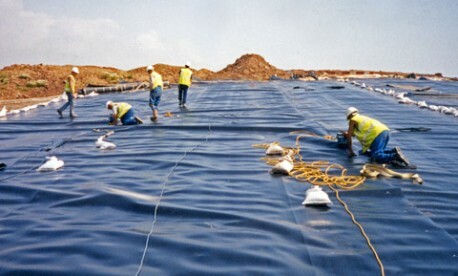 The principal application of Landflex Ecobarrier is : hydrocarbon contaminated land isolation where the geomembrane may be required as an oversite separation layer to eliminate the upward migration of hydrocarbons prior to landscaping or construction works being performed above. Competitively priced, Landflex Ecobarrier offers a high performance, easy to install and sustainable containment solution.